The Kansas Chapter American Concrete Institute is pleased announce the hosting of the following seminar on concrete cracking with Mike Tholen as the featured speaker. 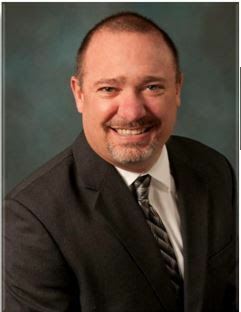 Mike Tholen, PhD, PE, is Managing Director, Engineering & Professional Development, at the American Concrete Institute. He received a BS in architectural engineering, with distinction, in 1992, an MS in civil engineering in 1995, and a PhD in civil engineering in 1996 from the University of Kansas. He previously worked at ACI as the Engineering Editor of Concrete International. Prior to joining ACI in 2005, he spent over 8 years as a structural engineer in the Aviation and Architecture Division at Burns and McDonnell Engineering Company in Kansas City, Missouri. His presentation will cover various aspects related to concrete cracking. Often, the key to addressing cracking issues is learning how to properly determine the cause of the crack so it can be mitigated and prevented in future projects.